Number encountered 1, Alignment Chaotic, Movement 90' (80'), AC 9, HD 4*, Attacks d6+1*, Damage 1d6/paralysis, Save F4, Morale 8, XP 150. The limb worm is a carnivorous beast with leathery skin. Its back is covered in a strange organic slime. 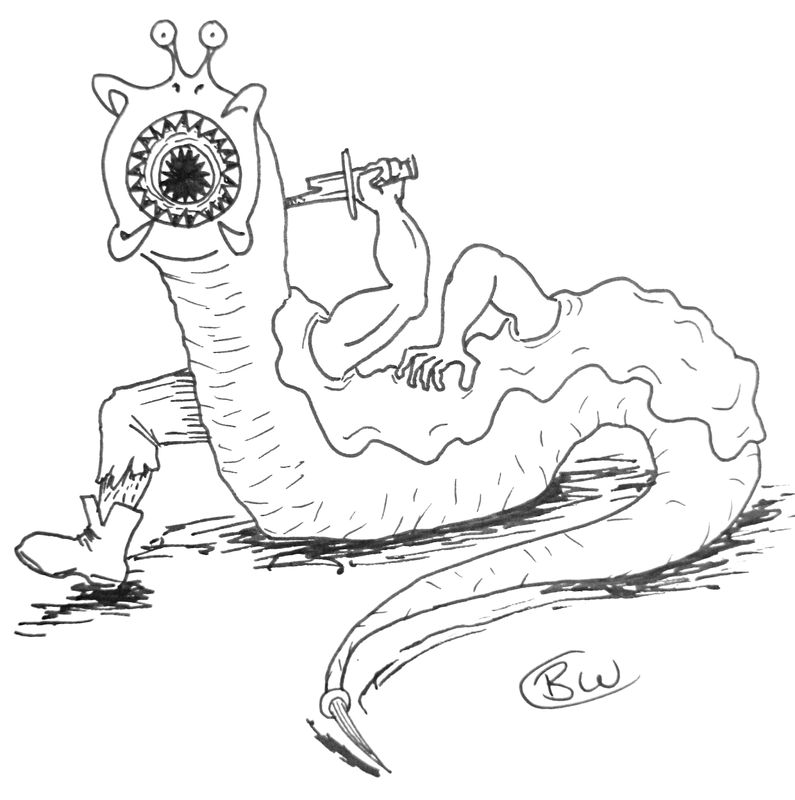 It often keeps limbs from fallen enemies; these attach to the slime and resume normal function controlled by the worm. When the limb worm is found it has d6 limbs (arms, legs, tentacles depending on the slain enemies) attached to it, each giving it 1 extra attack for d6 damage and 1 extra HP (not HD, mind you). Otherwise the primary attack is its sting tail. Anyone hit will take d6 damage and has to save vs paralysis or be paralysed for 24 hours. Each time the limb worm takes damage there's a 1 in 3 chance that it will lose an acquired limb, should it have any left.